Root canals are not known as a pleasant procedure when it comes to going to the dentist. However, they are often necessary and shouldn’t be ignored or put off for many reasons. Your oral health is extremely important and if issues arise, they should be taken care of promptly in order to avoid other health issues taking place. If you’re not convinced to not put off a root canal, maybe the following reasons will sway you a bit. 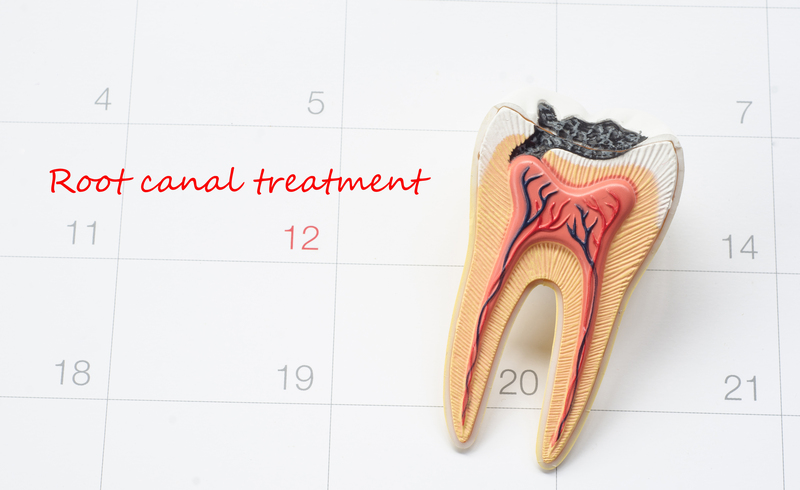 A root canal is needed usually because the inner pulp of the tooth has become infected. The inner portion of the tooth is softer, unlike the outer portion of the tooth. Due to decay, cracks in teeth, etc. a tooth can become infected and need a root canal to stop the infection. Once the infection has been eliminated, this will also eliminate the pain you’ve been experiencing. The pain from a decaying and infected tooth can be severe and cut into your daily routine. If you put off a root canal, this pain and decay will only get worse. It’s scheduling that appointment to get it taken care of so your day to day functions can get back to normal. When a root canal is needed, the issues arising with the tooth or teeth will not get better on their own. You may be able to mask the pain, however, that’s not stopping any of the decay. Further, it’s not going to lessen the pain long term, it’s only going to be temporary. Over the counter, treatments can get expensive and bothersome after a while. If you act promptly, a root canal can save the affected tooth. It’s always best if you can save and repair your original teeth. Other options are getting an implant, veneers, etc. Those can start to get a lot pricier than a quick root canal. Therefore, don’t make it harder on yourself by putting off a root canal. This will only make it more expensive and burdensome the longer you wait. Many people think medical or dental issues will get better if they just tough it out. Unfortunately, when a tooth starts to decay, there’s no waiting it out and hoping for the best. It will only get worse the longer you wait. Further, waiting can cause the bacteria in the decaying tooth to travel to the gums and jaw. This results in an abscess that will involve more work being added to the list. Not to mention, this can also lead to decaying more of your teeth, giving you gum disease, etc. It’s no secret root canals are not a fun procedure, however, they’re not near as bad as the TV and movies make them out to be. They’re actually a relatively easy and quick procedure. We assure you that it’s worth getting the root canal rather than living with the pain and issues a decaying tooth can cause.